The next day, after leaving Bethany, Jesus was hungry. From far away, he noticed a fig tree in leaf, so he went to see if he could find anything on it. When he came to it, he found nothing except leaves, since it wasn’t the season for figs. So he said to it, "No one will ever again eat your fruit!" His disciples heard this. Early in the morning, as Jesus and his disciples were walking along, they saw the fig tree withered from the root up. 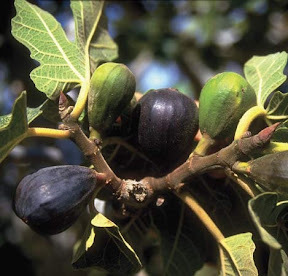 Peter remembered and said to Jesus, "Rabbi, look how the fig tree you cursed has dried up." This strange story of Jesus cursing a fig tree sandwiches the story of Jesus clearing the temple. It's another example of Jesus performing, so to speak, a prophetic drama to call out and expose the inadequacy and depravity of the religious and political systems of Israel and, by extension, the whole world. As we saw when Jesus entered the city, the ones who welcome Jesus are the ones who are aware of their need for salvation (as evidenced by their cries of Hosanna, "save us!"). So when Jesus begins pointing out the shortcomings of would-be autonomous systems of power, he is simply leveling the playing ground, building a foundation for the inauguration of a different kind of kingdom. Jesus' rebuke of systemic corruption is sandwiched by the prophetic accusation of the spiritual depravity of those same systems and the people whose power and pride are dependent on them. Nothing that is void of the humility to recognize its own dependence on God and its depravity without God, noting that depends on exploitation of power rather than on prayer has the capacity to bear the fruit of a kingdom of liberation and communion with God. Whatever our political agendas may be, if we become dependent on systems, even religious ones, rather than on our relationship with God through prayer, we will wither up. We are invited to cling to Christ, to breathe the life-giving breath of Holy Spirit and, in so doing (and by no other means), watch mountains moved and worlds collide in glorious renewal and restoration. God of life, let us not be withered up. Let us be green and flourishing with the sweet fruit of your kingdom. We only have life when we humble ourselves and depend on you. Make us agents of life, resisters of death, heralds and prophets of your reign here and now. Now and forever. Amen.